Outdoors + Boys = A Great Adventure! We went on our first camping trip as a family last week. 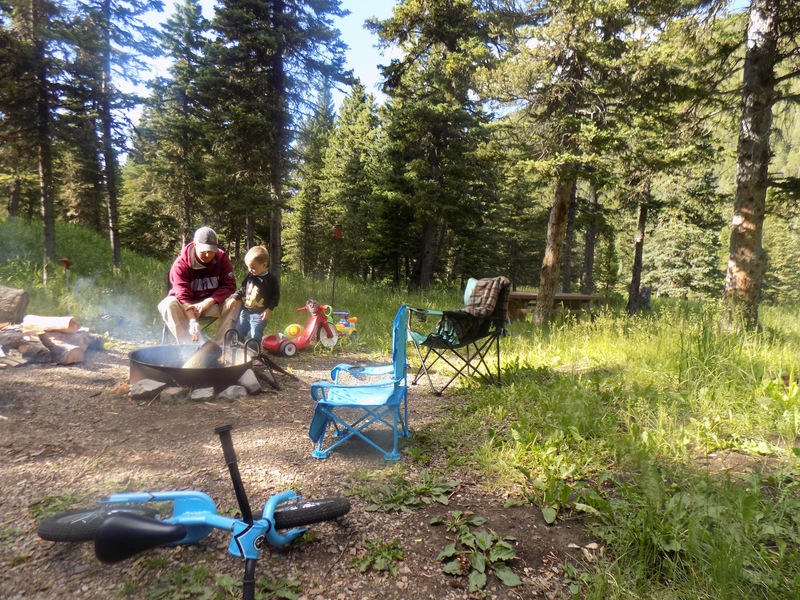 We’ve been “planning” to go camping for quite a while, but as all farm/ranch wives know these things are usually spur of the moment and 12 hours (or less!) of heads-up time to get things ready. Anyways….as we’re getting ready for this big trip I’m making sure we have literally any possible item that the boys might want/need while we’re gone for 36 hours. Of course, we didn’t need half of it, but I was prepared for anything! It was a blast! Was I tired, worn out, contemplating on putting Miles into a plastic bubble? Yes, but it was fun. EJ loved every moment; from riding his bike everywhere – I don’t want to take it (helmet) off! 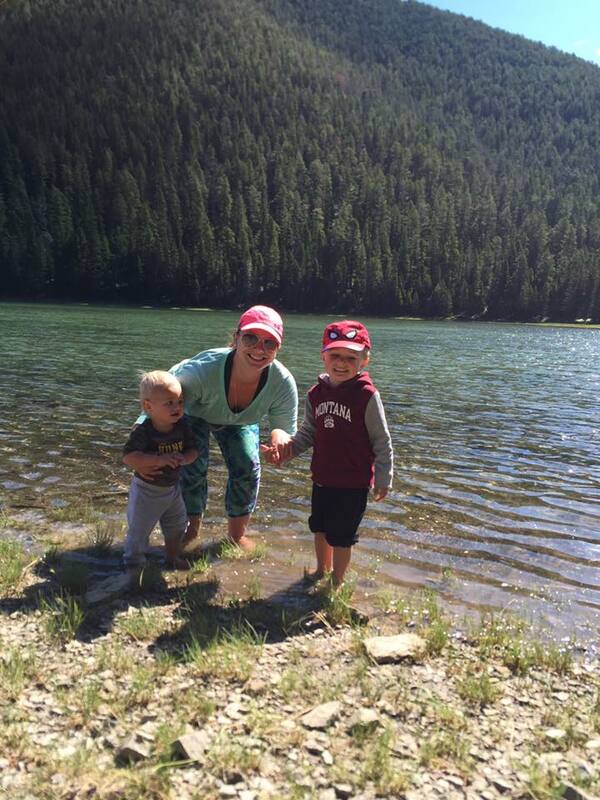 ; to “swimming” in the lake – splashing our feet and throwing rocks; to making s’mores -which he wouldn’t eat! He even did great on our hike – picking every dandelion within reach and trying his best to “blow” it out (he found that if he just throws it really hard they fall off and float away just the same!). Miles did well, I think, for a one year old (yes, he’s one already – where did the time go?!) 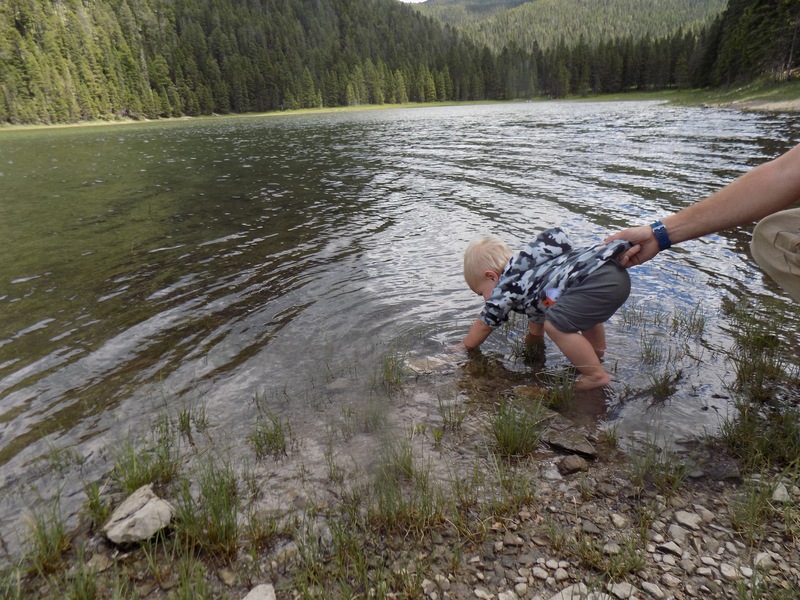 Besides wanting to touch the fire and walking right into the lake – socks, shoes and all, like there wasn’t even water there – and just being his ridiculously rambunctious self, he did good. He loved the water. Even with the wind blowing and the coolness of evening he didn’t want to leave. Then the next day when we went back and it was warmer he tried his hardest to “swim” but only was able to partially sit down before I swept him out, but he immediately wanted to go back in! We definitely have two outdoor loving little boys! Bikes, dirt and Lord, knows whatever else they can get into, they would stay out all day, rain or shine, if they could! I’m looking forward to many more camping trips in the future and to discovering what their wild imaginations will cook up. Like EJ racing up the hill on our hike and calling down “So tall Momma! Ima super hero!” Miles will be right behind him next time, trying to be faster and taller; seeing who can throw rocks the farthest into the lake. How long will they enjoy picking dandelions and try to blow the seeds off? Or have wonder at watching a deer walk through the campsite? While I do look forward to the day when we can enjoy camping as we used to, without worrying about one falling down and getting hurt or if/when nap time will be, I dread the day that they start to slowly lose their funny little imaginations and sense of wonder. I know they’ll have it for a while still and I pray that they will always of a sense of wonder for God’s creation, but for the sake of being able to watch how their little minds learn and play, I can live with a few more years of “uncomfortable” camping.